A Russian newspaper has published an article suggesting that the Kremlin-favoured South Stream gas pipeline could drop Bulgaria, Serbia, Hungary, and Slovenia for its route, and instead reach its final destinations, Italy and Austria, through Turkey and Greece. On Monday (18 August), Russian business newspaper Vzglyad published an article by journalist Oleg Makarenko, claiming that Gazprom has a “plan B” in case Bulgaria continues to obstruct the construction of the South Stream pipeline. According to the Vzglyad article, Russian President Vladimir Putin has already hinted at another route for South Stream, during his meeting with leaders of world media, on 24 May. The article quotes Turkish energy Minister Taner Y?ld?z as saying that Ankara would allow South Stream to reach Turkey under the Black Sea instead of Bulgaria, as originally planned. However, Russian sources are quoted as saying that the Turkish route is not Moscow’s preferred one, as it is longer, and because of the lost possibility of reaching Serbia and Hungary. Turkey is seen as a “good partner” for Russia, as its former Prime Minister Recep Tayyip Erdo?an, who recently was elected as President, is described as a “cynical pragmatist” who wants revenge on the USA, which has reportedly tried to oust him twice. Greece is described as a country where social unrest is boiling. “The attempts to leave Greece without money, without agriculture [as a result of the Russian counter-sanctions] and without gas will trigger massive social unrest,” the article says. Bulgaria, Serbia, Hungary and Romania are described as the biggest victims of plan B. In the event that the Ukrainian gas transmission system is “blocked permanently”, Russia would reportedly not be able to supply any gas to these countries. The article ends by saying that Russia would prefer not to opt for a plan B, but if the Commission doesn’t stop pressuring Bulgaria to freeze the construction of the pipeline, this alternative appears to be a viable option. “We have to be very happy that Russia has a working spare plan to supply gas to Southern and Central Europe,” the article concludes. A direct competitor to TAP? If Gazprom decides to choose Turkey and Greece for the South Stream route, the pipeline project would largely resemble the TANAP-TAP project to bring Azeri gas to Italy through the territories of the same countries. 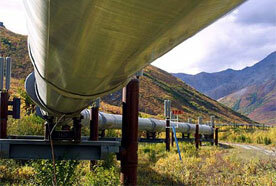 The Trans-Anatolian gas pipeline (TANAP) is a proposed natural gas pipeline from Azerbaijan running through Turkey. The approximately 870 km long TAP pipeline connects with TANAP, and will cross Greece and Albania before reaching Italy through an offshore section. It is to be built by a consortium led by BP, Norway’s Statoil and Azerbaijan’s SOCAR. TAP is in an advanced stage of preparation and the start of its construction is planned in 2016. Asked by EURACTIV to comment, the European Commission said it was unable to confirm reports that NGOs were funded with Russian money, in order to delay the TAP project. The Kremlin: ??????? ? ?????????????? ??????? ?????????????? Vzglyad: «????? ?????». ????????. ??????. ??? R u retarded or wat? Doublespeak comes to mind, where one plays opponents against each other in the hopes, that after the dust settles, plan A will emerge victorious.